Jose Mourinho has rejected criticism of his record as Manchester United manager, saying people do not know what went on “behind the scenes”. The Portuguese was sacked as United manager last month, with the team since going on to win six straight matches under caretaker boss Ole Gunnar Solskjaer. But Mourinho, whose departure after two-and-a-half years in charge came amid reports of player unrest and a falling-out with France midfielder Paul Pogba, said on beIN SPORTS: “Sometimes we comment on what we see, but we don’t know what is behind the scenes and influences what we see. I think that is a fundamental thing. “If I tell you for example that I consider one of the best jobs of my career (was) to finish second with Manchester United in the Premier League, you say ‘This guy is crazy – he won 25 titles’. Mourinho said he was “too young” to consider retirement and insisted he still belonged at the top level. “I want to coach,” he said. “I am too young, I am in football for a long, long time, but I will be 56 in a couple of weeks and am really too young. Mourinho was speaking in a role as a pundit for coverage of the Asian Cup, which he said was “very interesting” to experience a different view on “the new football” as part of a “learning process…to be richer”. The 55-year-old also defended himself against suggestions his teams played negative football, pointing to his track record of success across some of Europe’s leading clubs. “One thing is image, another thing is communication, another thing is good structure behind, another thing is to win and get results,” the former Porto, Chelsea, Inter Milan and Real Madrid boss said. “It is very easy to play well and not win, it is very easy to be behind a certain idea of a certain football without results. “The people that win and the people that win consistently – because you can win isolated and then disappear – has obviously a different idea about that. 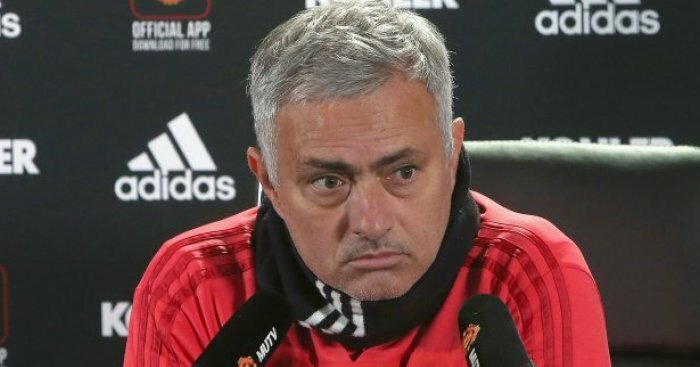 The post Jose Mourinho defends his time at Man Utd; says 2nd-place finish was a triumph appeared first on teamtalk.com.